On Saturday night, as the sun sank down below the Kentucky horizon, most of the activity was centered on the indoor arena at the Horse Park. From where I sat in the darkness on the back of my beloved Jobber, I could see the brighter-than-day glow of the lights and still hear the excited murmur of the crowd as everyone submitted their votes for America’s Most Wanted Thoroughbred. We had just come from the arena, having completed a chaotic, glorious, breathless true victory gallop with the rest of the cowboys and cowgirls in the top ten of the ranch work, but this moment now, far removed from the bright lights of the indoor, was ours alone. 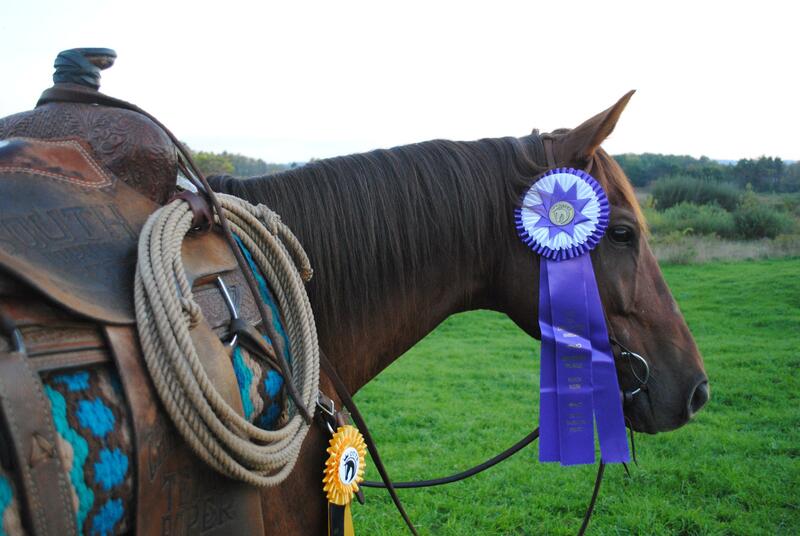 I let Jobber amble down the sandy horse path, reins draped loosely, seventh-place ribbon securely clipped to the breastcollar. His ears were relaxed and his gait easy as we picked our way across the Horse Park in the falling night, serenaded by crickets, headed back to our stall to untack one final time before we headed for home in the morning. The celebration was building in the indoor, but this moment was just for me and my horse, clip-clopping our way through quiet shedrows under the towering trees on these most iconic, hallowed equestrian grounds. This had been the trip of a lifetime and a bucket-list horse show that I hadn’t even realized I had wanted until I had started to get involved. Throughout 2017, I had been reading so much about how the Thoroughbred Makeover and how it was so unlike any other show — the prizes were great but the placings really didn’t matter to most of the competitors; the Makeover was truly just part of a longer journey and the community was amazing. For someone like me, having stepped away from the almost industrial-feeling horse show world four years ago, this sounded like my kind of place. And it was. Already I had that distinct sensation of brother- and sisterhood with my fellow competitors, the feeling that while we hadn’t ever openly talked about it, we had all done something remarkable, and done it together. We had all walked very different paths to get to this moment; some of us hadn’t made it to the Horse Park at all. We were here for various little reasons, but our motivation was the same: we were here for the love of the OTTB, celebrating this remarkable horse together in so many different ways. Clare Mansmann and Hill Four Eleven with me and Jobber. Photo by Allison Howell. I had shared warm-up rings with dressage horses, hunters, jumpers, eventers, polo horses and more. I had ridden alongside some of my idols and newer trainers whom I had looked up to over the internet for months. I had made friends — never since the days of college had it been easier to wander up to a random stranger and make friends. (I literally rode up to folks I had never seen before, asked if anyone wanted to go on a trail ride, and then hacked together for an hour — shout out to Tashi and Nexen.) We had laughed together, cheered together and cried together. For this week, we had competed against one another, but never stopped helping, encouraging and supporting each other. For riders like me, the Makeover was the open door to bring me back to the show ring. The Makeover had rejuvenated my horse life, giving me new goals and plans and dreams that had been stagnating for so long as I struggled to redefine who I was as a horsewoman. My horsemanship had improved; my confidence in my own riding had both taken some massive blows and then been rebuilt even stronger as Jobber and I grew together. Thirty-six hours after this final twilight hack across the horse park, Jobber was turned out again at home, happily eyeball-deep in the pasture, and I was trying to step back into civilian life again. Horse shows are a unique suspension of the real world — your life revolves for a few days entirely around your horse and everything he needs to be successful; your daily responsibilities are both greater and far easier than keeping your adult life going at home. Monday was proving to be a tricky hurdle indeed, as my mind was still in Kentucky with all of the new friends I had made, trying to chase that feeling of camaraderie. 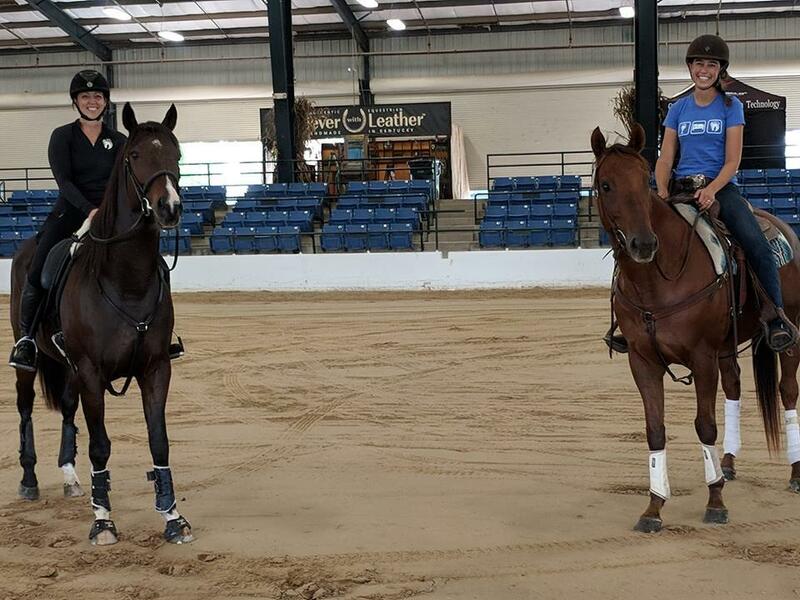 The Thoroughbred Makeover, I can now safely say, was a life-changing experience that has redefined my horse life. And that’s why I will not be competing in 2019. 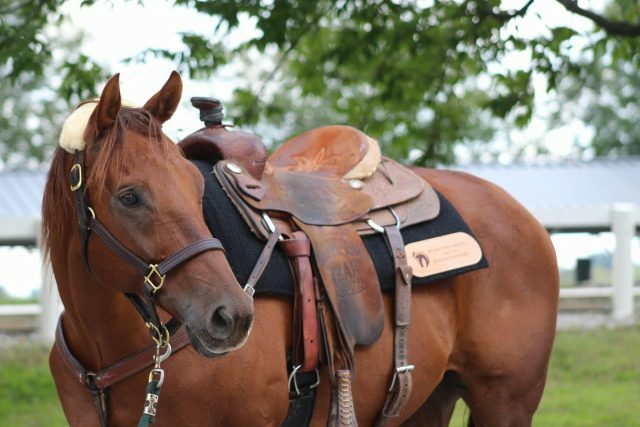 Throughout this blog series — titled Race Horse to Ranch Horse — readers might notice that there was no reference to the Retired Racehorse Project or Thoroughbred Makeover in the title. Throughout this past calendar year of working with Jobber, networking with other trainers in the Makeover and discussing just what makes the OTTB so special, the over-arching theme was ambassadorship. One of my first columns was a discussion with 2017 ambassador Kyle Rothfus about the best way to serve the OTTB breed: was it better to represent an under-represented discipline with an OTTB, or represent an under-represented breed in a western discipline? There is no good, clear answer to that question, but I know that I have a real stereotype-breaker in Jobber. Now that he’s gained weight, and more importantly, good muscle, he looks like he can hold his own with the Quarter horses. He is smart, loyal, gritty, athletic and trainable; he is talented and truly enjoys being a cow horse. I am confident that as we continue training, Jobber will be able to transition into the reined cow horse show pen for 2019 and do a service to OTTBs in the western disciplines everywhere. It won’t be an easy road — he’s not as catty as a true cutting-bred Quarter horse, but he’s learning how to get out of his own way and stay nimble on his feet. He doesn’t have the natural inclination to lock up and slide, but he’s breaking over his back better and better with each passing week. If there is a horse to help show the world that OTTBs can play in the ranch disciplines as well as the Quarter horses, I firmly believe that Jobber is the one to do it. So in 2019, we’ll be heading to our local show pens to help blaze the way for more OTTBs in the western world. I’ll be cheering on the Makeover’s 2019 western contestants, but I won’t be among them — I hope to be volunteering and helping to shape the RRP for more western participation. I believe that this is the way I can do the most good for the organization and for the breed, and I’m excited to see where we go. The Makeover, after all, was just the beginning. Follow Jobber’s continued adventures at his Facebook page! Go OTTBs, and go riding.